I’m excited to announce that I have become a True Cellular Detox™ Practitioner! This program was developed by Dr. Daniel Pompa to heal himself from some major physical challenges. Dr. Pompa’s organization trains practitioners to reproduce his protocol with their patients/clients. You don’t have to join “anything” to work with me in order to do this program. We all live in a toxic world, and have been exposed to thousands of problematic chemicals such as pesticides, herbicides, pharmaceutical drugs, caustic cleaning chemicals, to name a few, and heavy metals such as mercury, lead, aluminum, nickel and more. There are no safe levels of heavy metals. 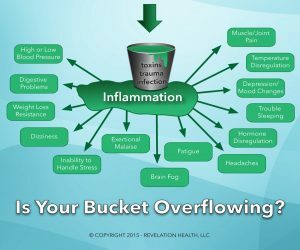 This toxic overload is responsible for digestive issues, brain fog, cancers, heart disease, high blood pressure, autoimmune diseases, neurological disorders including dementia, diabetes, obesity, sleep disorders, hormone imbalance, infertility and others! This is a multi-pronged approach that helps you to identify what’s inhibiting your body to heal itself, prepares your cells for healing and detoxing, moves on to detoxing the body, and finally detoxes the brain. There is no other systematic program out there like this! Your average juice cleanse or some other short-term detox may only improve these conditions for a short period, if at all, but True Cellular Detox™ will have lasting results. For detailed information on TCD, click here. The TCD program will help you to uncover the root cause of your health conditions, while removing environmental toxins, heavy metals, biotoxins, and restoring cellular function. Please contact me for a complimentary consultation and let’s talk about how TCD may benefit your health! PreviousPrevious post:The Problem with WheatNextNext post:What’s in Your Toothpaste?